The Burberry Prorsum show has been all over the internet this past week so I don't believe I have to say much about it, but I simply couldn't skip it, so here we are. 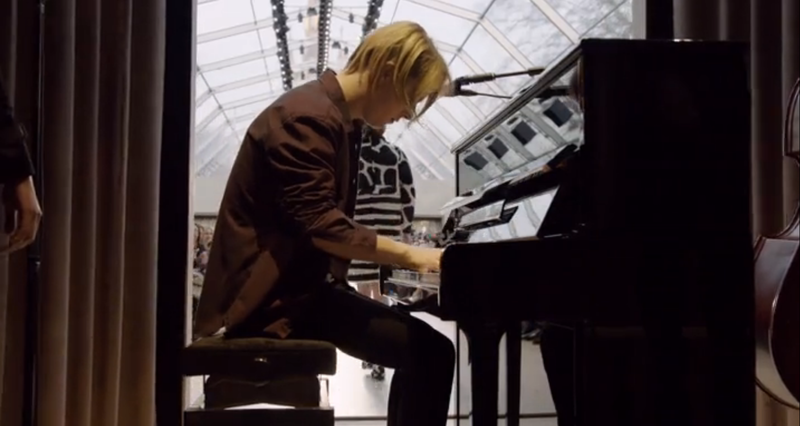 I've been a big fan of Burberry Prorsum for a while now and I love what Christopher Bailey has done for the house. The show was versatile and exciting and Cara's knickers were pretty much the coolest thing I've seen all week. An LFW favorite for sure. But what I loved most about the show was the music, and I believe it was the music that made this show so memorable. It just added that little extra that pushed it over the edge. So if you haven't watched the show yet, stop doing whatever it is your doing, still your mind, follow this link, put it on full screen, turn up the volume just a little bit, sit back and enjoy. Get sucked in. And be prepared for watery eyes.